Did you make some New Year’s resolutions? Lose some weight. Exercise more. Make progress on your Antioch School program. Seriously, this is a perfect time to think about your training plan for 2017. Perhaps you can consider how to make progress in each aspect of your degree program. What is the next step in your SIMA MAP Response? Have you written and submitted your stories? Have you had your interview? Have you prepared a response? Make your next step part of your plan for 2017. Don’t just make it a general goal. Identify a specific time when you are going to focus on it. Or maybe you should focus on your Personal Development Plan. After all, it is the perfect tool to help you think about the other parts of your Antioch School program (and more). For many, earning credit for the Personal Development Assessments requirement is really just a matter of posting a simple report about your mentor’s use of the PDA forms as a point of reference. Perhaps you can start 2017 with earning credit for reporting about meetings with mentors in late 2016. Have you uploaded your work on BILD Cloud? As you prepare to start a new Leadership Series course, try to make sure that you have produced a body of work that demonstrates each of the competencies associated with the course you most recently finished. Even if you didn’t complete all the projects to your satisfaction, focus now on the competencies and criteria in the BILD Cloud rubrics. Similarly, as you begin 2017, identify some area of ministry that you can use as a Ministry Practicum. Use the template and example in the Practicum Guide to help you set goals and prepare to make a ministry experience into a fulfillment of the Ministry Practicum requirement. It is unusual for students to achieve more than they plan in a year. Don’t make unreasonable plans, but do take some time this early January to make some plans for how you can make progress in each area of your Antioch School program. The Apostle Paul fostered a developmental culture within his team, across his network, and within each church that he established. Several things make this clear. First, he regularly assessed the maturity of the churches he had planted and let them know how he assessed them. Second, he worked tirelessly to train the leaders who would minister within and among these churches. Third, he challenged leaders to both show progress in their own development and to give effort to the training of others. How do you form such a similar, vibrant training culture if it does not currently exist in your church? At least three elements must be present – vision, example, and flexible structures. It starts with vision from the senior leader and core leadership team. Senior leaders must value and envision a developmental culture. As steps are taken to create this culture, they must continue to cast vision, persistently answering the question of why time and energy is being given to training. Beneath this vision must be a fundamental conviction that 2 Timothy 2:2 is a mandate, not an option. Strong churches and sustained movements of church multiplication simply will not happen without training leaders in the context of ministry. Vision must be reinforced by example. The church needs to see existing leaders taking their own development seriously. It also needs to see emerging leaders making evident progress as a result of training. And it needs to see a range of its members investing in lifelong learning and experiencing fruit. These examples spur others to imitation. Flexible structures must be used as tools to aid development. Establish a weekly time slot for equipping. What will work? A weekday evening? A Saturday morning? Adjust this as the ministry requires. Create mentoring habits. Leaders in training might begin by connecting every other week over breakfast. Then make the time more frequent or less according to need. Develop quarterly rhythms to gather and assess the body of work being developed by those who are studying the scriptures together. Schedule annual leader retreats to cast vision and reinforce discipline. Our partners who are working with Antioch School cohorts should recognize that every component of an Antioch School training program fits within these broad structures. Many things will distract you from fostering a training culture in your church or church network. Congregational expectations may need to be corrected. Ministry needs will demand your time. Developing new leaders will take longer than you planned. Despite this, if you are the leader giving concentrated effort to create a training culture, find courage and resolve in the knowledge that your strategic investment will bear fruit now just as it did in the early church. Occasionally, we like to put the Antioch School in the context of the larger landscape. The 2014 Survey of Online Learning gives us such an opportunity. Here are some comments about the Antioch School in light of 11 key findings about online college students in the recent work by the Babsen Survey Research Group and the Online Learning Consortium. 1. Online students are enrolling at institutions further away from their residence. The Antioch School certainly fits this finding. Only a small percentage of our students live within 100 miles of our headquarters. For most of our students, it is the location of their own churches that is important, not the location of the Antioch School. 2. Although cost and financial aid are important to online students, these are not deciding factors in their selection of an online program. Although cost remained a top selection factor and the most-often-asked question of enrollment advisors, students demonstrated that they are balancing quality and cost. Sixty-six percent of undergraduate online students and 79% of graduate online students who had already enrolled report that they did not select the least expensive program available. Financial aid was critical for about half of those surveyed, yet only 20% say they would not attend an institution if their financial aid needs had not been met. The low cost of tuition in the Antioch School is an important factor for most Antioch School students because many would not be pursuing a degree if they didn’t think it was affordable. Although the Antioch School does not offer federal financial aid, many students still do rely on the financial support of their churches or ministry organizations. 3. Online students are looking to improve their employment situation and are satisfied with their investment in an online degree. A large majority of students pursuing online degrees and certificates are doing so for employment-related reasons. They want full-time jobs, new jobs, better jobs, or need more training for their current jobs. Within a year of graduation, about 40% report improvement in their employment status, typically a raise or promotion. About 60% of undergraduates and 70% of graduate students report being completely satisfied with their investment of time and money. Currently, most students enrolled in the Antioch School who are looking for employment related to their academic programs are doing so in vocational ministry fields. However, most don’t see the connection between Antioch School programs and other vocational fields. Yet, there is vast potential for using the Ministry Practicum (and additional practicum in the free elective category) to help students vocationally in fields for which there are connections in their churches. 4. High job placement rate is the most appealing marketing message. The Antioch School doesn’t market its high placement rate. However, most of our students are already “placed” and being trained for ministry where they already are . . . as well as for the church planting efforts of their churches. 5. Although many universities prefer to price by credit hour, most students prefer to think of the total degree cost. In general, students appear to be confused about the price they pay. Most students, both undergraduate and graduate, prefer to think about cost in terms of the entire degree with per course pricing their second choice at 33%. Per credit is the least favored way to think about price. The Antioch School is ahead of this trend because our program enrollment has tuition tied to programs and monthly payments rather than tuition tied to credit hours. 6. About 80% of online undergraduates have earned credit elsewhere and transfer credit is important to them. As in 2013, a large majority of online undergraduate students bring credits with them. About half report having “most” or “all” of their transfer credits accepted. Almost 80% report it is very important that they can easily find information about transfer credits, have their questions answered quickly, and receive prompt decisions about transfer credit from institutions of interest. It is also true that most Antioch School undergraduate students utilize transfer credit for General Education and/or Free Electives. 7. Business continues to be the most common field of study. Business and related fields continue to enroll the most online students with more than 25% of the total. Professional fields such as IT, criminal justice, and nursing are also popular. Although there are a handful of disciplines that attract large enrollments, students report more than 140 different fields or specializations of interest. Within the business discipline, for example, undergraduate students select a wide variety of specializations with accounting, business communications, and business administration being the most popular, while graduate business students are more likely to specialize in a functional area such as accounting, marketing, IT and leadership. Although the Antioch School does not offer degree programs in “business” and some of these other popular fields, it is important for churches to include in their Antioch School program students who are pursuing other fields so that they have a well-trained team of elders and benefactors, as well as ministers of the Gospel. Students can use Antioch School credit to transfer into other programs of other institutions, as well as bring the other fields inside Antioch School programs through the Practicum and Free Electives. 8. Reputation and price continue to be key selection criteria. Although a number of factors influence the choice of a college, reputation and price continue to be most important. The primary driver of reputation is accreditation followed by recognition, rankings, and recommendations. The Antioch School’s accreditation is certainly valuable, but it seems that most students enroll in our programs because of the reputation and commendation of the churches and church networks that partner with us. 9. Some students have a clear preference for online study. Almost 90% of online students surveyed report that online study was equal to or better than classroom study. About one-third report they were not likely to have considered classroom or hybrid programs. Among those who started on campus but didn’t complete their degree in that format, most report issues such as personal events, a new job or relocation as the reason. Antioch School students don’t necessarily prefer online study. They enroll because of a clear preference for studying in their churches. We leverage the use of online e-Portfolio assessment in order to provide opportunities to study in churches. 10. A higher percentage of online students are unemployed. The number of individuals working full time declined from 60% in 2012 to 55% in 2013 and 46% in 2014. The number working part time has been constant, while the number of those who are unemployed rose from 16% to 24% to 30% over the past three consecutive studies. We don’t know how many Antioch School students are unemployed. However, we know that nearly all Antioch School students are fully engaged in ministry in their churches. 11. A higher percentage of online students rely only on financial aid to pay for school. Since 2012, there has been an increasing trend of students paying for school with “student loans and other financial aid only,” selected by 31% of respondents in 2012, 37% in 2013 and 40% in 2014. The Antioch School doesn’t make federal financial aid available to our students, so they don’t rely on it at all. However, they often rely heavily on the much lower tuition of the Antioch School. When a book is loaded with some of my favorite BILD terms (such as kerygma, didache, catachesis), it really gets my attention. Consider this great quote from Grounded in the Gospel: Building Believers in the Old-Fashioned Way by J. I. Packer and Gary Parrett. “Perhaps 2 Timothy 2:2 best portrays the idea of raising and cultivating catechists [the teachers]” (p. 196). 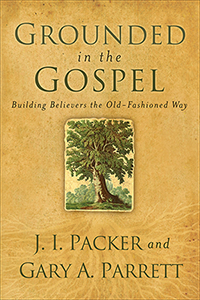 Packer and Parrett make a superb contribution in this book by building a very strong case for the biblical concept of catechism, which they define as “the church’s ministry of grounding and growing God’s people in the Gospel and its implications for doctrine, devotion, duty, and delight” (p. 29). My favorite part of the book was Chapter 2 “Catechesis is a (Very!) Biblical Idea.” The authors state that, “One of the most important arguments for ministries of catechesis today derives from the simple fact that believers have been commanded to teach others catechetically” (p. 47). The chapter concludes, “Catechesis is, indeed, a very biblical idea! More than that—the ministry of catechesis is actually a biblical imperative” (p. 50). The term “old-fashioned” in the book’s title and first chapter is clever and could hearken back to the first century, but in the book it refers more to models used in the fourth/fifth centuries and to the Reformation. Packer and Parrett use the apostle’s letters to make the case for catechism, but don’t really find the content and model for catechism there. The historical models they present are insightful and helpful, yet it seems that doing more with the catechetical model of the early church, as a biblical model, not just a biblical mandate would have been appropriate since the authors make a case for the New Testament writings being “explicitly catechetical documents” (p. 44). Similarly, the book’s biblical kerygmatic statements are summaries with little attention to the actual statements of the apostles presented by Luke in Acts. A rather elegant model is presented in Chapter 4 of the content that Packer and Parrett recommend for catechesis. It is called “5-4-3-2-1” which refers to Five Founts (Triune God, Scripture, the Story, the Gospel, the Faith), Four Fixtures (Creed, Lord’s Prayer, Decalogue, Sacraments), Three Facets (The Truth, The Life, The Way), Two Fundamentals (Love of God, Love of Neighbor), and One Focus (Proclaim Christ). As you can tell from the model, there may be some important things missing from a BILD perspective. For instance, the church itself is assumed, participation in the church is presented largely through worship services (probably because that is where the sacraments are dispensed) rather than as a family of families, there is not a synthesis of the practical instructions of the epistles related to household order, and the apostolic mission of church planting and church establishing does not seem to be emphasized. I wonder if Packer and Parrett would think that BILD’s First Principles are too simplistic, too focused on Paul’s letters, and not connected tightly enough to the historic church and its institutional expressions. It would have also been interesting if the authors had done more critique of current Christian Education curriculum and formal theological education programs, perhaps re-envisioning seminaries and Bible colleges are training programs for catechists based on their model, especially in light of their recognition of 2 Timothy 2:2 as referring to catechists. Packer and Parrett get practical in Chapter 9 and show what their model could look like when implemented in a church. They present it in terms of three phases: procatechesis (perhaps better called precatechesis), catechesis proper, and ongoing catechesis. They also address the program in terms of its formal, nonformal, and informal manifestations. It is in this chapter that the concerns from a BILD perspective mentioned above are confirmed. The various levels of a catechism are presented in a manner than helps determine levels of dogmatism (my word, not theirs) and nature of compliance (again, my word) that should be associated with the various levels. There are matters of Christian Consensus (that extend beyond evangelicalism), Evangelical Essentials, Denominational Distinctives, and Congregational Commitments (p. 150). This also illustrates the author’s aptness for alliteration (see, I just did one there myself). This taxonomy is extremely helpful in thinking about what it means to be orthodox and biblical. Toward the end of the book, in the practical section, the authors challenge us to “accurately assess the current situation” (p. 198). However, they never even mention the idea of assessing the catechumens [students]. It seems that any catechetical system must have a trustworthy assessment component to be truly effective. The description of the causes for the historical decline of catechesis in Chapter 3 on “The Waxing and Waning of Catechesis” provides a nice set of warnings to be heeded in practical implementation. Perhaps my biggest concern with the book is evident in the subtitle “Building Believers.” It is vitally important to build believers, but we are building believers in order to build churches and participate in the progress of the Gospel. Of course, I don’t think that Packer and Parrett would disagree, but they don’t do enough to address this explicitly in their book. One of the hazards of evangelicalism has been to make assumptions about the local church, invest heavily in parachurch ministries, and marginalize churches in the process. For decades, evangelicals have attempted to build up believers and train leaders without focusing directly on the strengthening of churches, and now we all bemoan the general state of irrelevance and biblical illiteracy in our churches. The New Testament model of catechesis in the early church emphasizes “equipping the saints for ministry . . . so that the body of Christ may be built up . . . attaining to the whole measure of the fullness of Christ” (Ephesians 4) as the core work of the church so that it can participate fully in the progress of the Gospel. It was a matter of “strengthening the churches” (Acts 15:41), not just “building believers.” Packer and Parrett describe the “ends for which we catechize” (pp. 184-5) largely in terms of the development of individuals and “unity” is largely a matter of common beliefs and worship practices. However, catechesis is not a just program that a church offers to individuals, but the essence of what a church is as a corporate unit on mission in Christ’s kingdom. Let me end with one of the nearly hidden gems of this book. Gary Parrett is a prolific hymn writer. The first appendix provides several hymns that are very well-suited for catechetical use. The role of music as a catechetical tool has been terribly overlooked, particularly in light of passages that tell us to “admonish one another with songs, hymns, and spiritual songs” (Col. 3:16). Many BILD partners around the world that work in areas characterized by oral culture give testimony to the power of song in the communication of the Gospel, building up of believers, and even the training of leaders. And in these cases, there is no doubt that “building believers” is being done in the context of planting and establishing churches to participate in the progress of the Gospel. Formal models of theological education are characterized by the schooling paradigm, whereas nonformal models are not. Rather, nonformal models of theological are characterized by intentional learning in real-life contexts. The differences can be seen through descriptions related to the following categories. Location. Formal theological education most often takes place on an academic campus. More specifically, it takes place primarily in classrooms according to academic structures. Even distance education programs largely attempt to replicate campus experiences. Nonformal theological education takes place primarily in churches and other ministry contexts according to ministry structures. Orientation. Formal theological education recipients are generally called students and are expected to be able to function as scholars-in-training with a pre-service orientation. Nonformal theological education recipients are generally called apprentices and are expected to be able to function as ministers-in-training with an in-service orientation. Curriculum. Formal theological education organizes largely according to academic disciplines and the fourfold curriculum (Bible, Theology, Church History, and Practical Theology) expressed in an often fragmented array of courses. Nonformal theological education may vary greatly in terms of curricular structure from mere observation and reflection on experiences to an intentionally designed set of integrated competencies that are carefully assessed. Learning Community. Formal theological education learning communities are composed of students enrolled in an academic institution being guided by faculty members. Even in distance education online courses, the discussion forums are composed of students from around the world in conversation with each other and a faculty member. Nonformal theological education learning communities are composed of apprentices in the midst of relationships in their churches, ministries, families, and other forms of community. Assessment. Formal theological education assessment takes place primarily through examinations and research papers related to content acquisition and critical thinking. Nonformal theological education assessment takes place primarily through review of artifacts and attestations related to character and ministry skill development. Credentialing. Formal theological education provides academic credentials that are often closely linked to ministry credentialing processes. In most cases, it is difficult to participate in formal theological education apart from an academic credential track. Nonformal theological education is usually linked to ministry credentialing processes, but not always linked to academic credentials, though it is becoming much more common, such as with the Antioch School of Church Planting and Leadership Development. Kemp, Stephen. “Situated Learning: Optimizing Experiential Learning Through God-Given Learning Community.” Christian Education Journal, Series 3, Volume 7, No. 1 (Spring 2010): 118-143. Reed, Jeff. “Church-Based Training That Is Truly Church-Based.” Ames, Iowa: BILD International, 2001. Accessed April 30, 2013. Ward, Ted W. “Education That Makes a Difference.” Common Ground Journal 10, no. 1 (Fall 2012): 22-25. Here is an article written for the forthcoming Encyclopedia of Christian Education, called “Church-Based Theological Education” by Stephen Kemp, Academic Dean of the Antioch School. We thought you might enjoy an early sneak peek. Church-Based Theological Education (CBTE) is training for ministry leadership that is rooted in local churches. Those being trained emerge from within a church or become part of a church. Those doing the training are the leaders of a church. Participation in the real life of a local church is the essential core. It may be best to understand CBTE in light of its contrast with other types of training programs that take place in churches. For instance, “Church-Based Christian Education” tends to focus on discipleship training for everyone in a church whereas CBTE is generally understood to refer to the higher levels of training for church leaders. Most distance education and extension programs of traditional academic institutions may use the facilities of a church or allow students to remain in their churches rather than relocate to a campus, but these are usually still “school-based” and only “church-housed” because the training is not truly rooted in the churches and church leaders are not truly central to the training. Those being trained must still be admitted by the academic institution to take part in the training, trainers must be approved according to academic criteria, and curriculum is firmly controlled by the academic institution. Those being trained in CBTE programs are selected by the church leaders and trained by the church leaders according to training processes that they develop and control. Many traditional academic institutions grew out of CBTE programs, such as groups of pastors gathering regionally for informal continuing education. Some students enrolled in traditional academic institutions have educational experiences with CBTE features. For instance, some students are on staff with local churches or have extensive ministry experiences within local churches while enrolled. Others maintain mentoring and accountability relationships with leaders of local churches while they pursue traditional school-based forms of theological education. “Nonformal” is often used to describe CBTE because it is based in a real church situation and relies extensively on real relationships outside the formal structures of traditional academic institutions. The curriculum is composed largely of mentoring and in-service apprenticeships with intentionally designed goals and assessments regarding character development, ministry skills, and biblical and theological understanding. Increasingly, CBTE is being used as an alternative to traditional campus-based and school-based distance education forms of education, particularly for those experiencing mid-career changes and early retirements from non-ministry vocations. It often is tied to ordination and other ministry credentialing processes as high levels of leadership development are achieved. It is also being used extensively to support the in-service training of church planters and leaders emerging from church planting movements. Entire networks of churches in India are using CBTE to train all of their existing and emerging leaders. Biblically and historically, CBTE refers to the manner in which leaders were developed in the first few centuries as described in II Timothy 2:2. 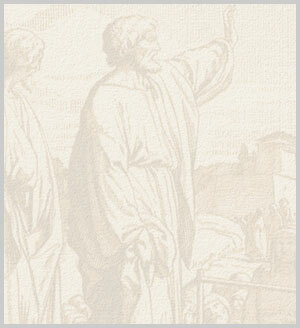 Paul was not merely mentoring Timothy one-on-one to take his place, but guiding him in a process of in-service learning as he participated with Paul in ministry that included the training of others to train others in a manner that supported an apostolic movement of exponential church growth. Barker, Lance R. and B. Edmon Martin. “Judicatory-Based Theological Education.” Theological Education 39, no. 1 (2003): 155-173. Reed, Jeff. “Church-Based Theological Education: Creating a New Paradigm.” Ames, Iowa: BILD International, 1992. Accessed April 30, 2013. Essentially you should think of mentors as the people that God has already put in place for the development of your students. Of course, this includes you as a Certified Leader, but also pastoral staff, elders, other church leaders, students themselves, as well as family and friends of students. A mentor does not necessarily have to be someone in a formal position of authority over the student. The main idea in mentoring is to let those whom God has already put in place in your life to speak into your development. It is good to identify a main mentor for each student who does many of the things described below, but who also orchestrates the mentoring by others for a student. For instance, long-time acquaintances may be best for some of the character assessments, but current ministry supervisors and colleagues may be best for some of the ministry assessments and guidance in ministry practicum. If you have a small program, you as Certified Leader will likely be the main mentor for students and be involved in many aspects of mentoring, but you don’t have to do it all, especially when God has already put others in place for aspects of this purpose. There are no official Antioch School requirements to be a mentor. We begin with the theological assumption that God has already put people in churches (and church networks) to help with the development of students. The qualifications of a mentor are somewhat related to the type of mentoring to be done. Church leaders certainly have a special responsibility to be involved in assessment of character, ministry skills, and biblical understanding. However, others may be particularly well-qualified to help because of their special knowledge of the student or an area of ministry. Often, the best mentoring comes from overlapping assessment as mentors provide insight from different perspectives. It is important that mentors have basic familiarity with the resources being used to assist in the mentoring. For instance, someone mentoring in areas of basic establishment and ministry qualifications should be familiar with the “Becoming Established” and the “Life and Ministry Assessment” tools. Someone mentoring a student in a ministry practicum should be familiar with the “Practicum Manual.” Certified Leaders of Antioch School programs should conduct occasional orientations or provide brief personal introductions to the resources being used by that particular mentor, as well as a general overview of the degree program as a whole. The most significant qualification for mentoring is a commitment to the person being mentored and to the mentoring process. As a Certified Leader, your main job in mentoring is to help the right people have the right interactions with students. There are not strict guidelines for what needs to be done, but amazing things happen when you connect the right people with the right tools in mentoring. It is as if God intended for things to work this way in the church! This is the most commonly asked question about mentoring. We all know it is important and we want to do it well, particularly because it is a “requirement” in the Antioch School. Perhaps it is best to start with the big idea of what mentoring is from our perspective. Mentoring of Antioch School students is intended to support mentoring that already exists and/or help provide a framework and tools for new mentoring that needs to be put in place. These mentoring tools are not primarily academic requirements, but leadership development tools from BILD International that were in use prior to the creation of the Antioch School. The more the use of the mentoring tools fits into the natural operation and relationships of a church or ministry, the better. There is only one aspect of mentoring that is “required” by the Antioch School. Students are expected to meet with mentors at least quarterly to use the Personal Development Assessments (PDA) as points of reference in mentoring. The six PDA tools are: Becoming Established, Life and Ministry Assessment, Giftedness, Current Ministry, Ministry Team, and Journal of Mentor). This is not intended to be a rigid “filling out of forms,” but using forms to stimulate biblically comprehensive mentoring in relation to the churches and ministries of the students. 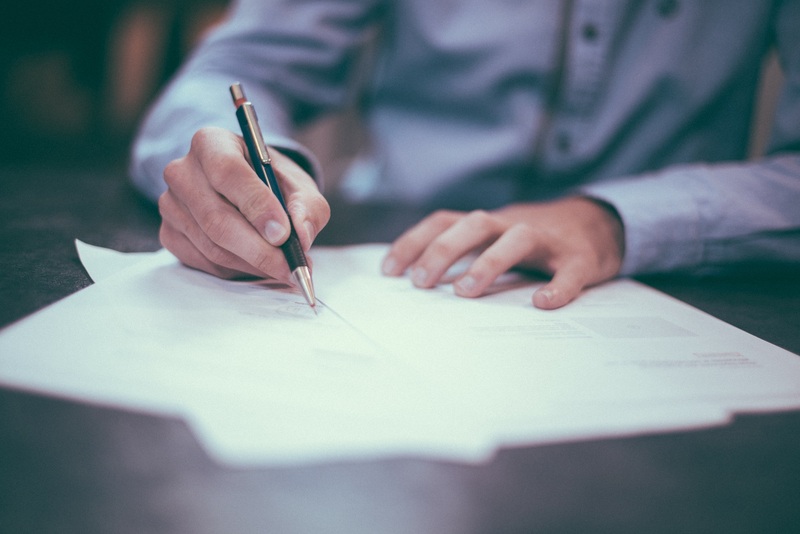 The forms don’t have to be submitted, but students simply need to attest quarterly that they have met with a mentor and used the PDA tools as points of reference. 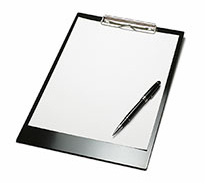 Further guidance in how to use PDAs is found in the Personal Development Assessment Manual. Additional aspects of mentoring are extremely valuable and recommended, but not required. Mentors can help coach students through the SIMA MAP process (and the annual MAP responses). Having a mentor involved in this process will greatly help students to understand themselves, their ministries, and how they fit on ministry teams. Mentors can help coach students through the Personal Development Plan process (and annual updates). Having a mentor involved will greatly help students to connect their development process with their life and ministry goals. Mentors can guide in the identification of ministry experiences to be used for Ministry Practicum, particularly if the mentor has experience and expertise in ministry areas. Having a mentor involved helps students set learning goals, prepare for the experience, evaluate the experience, and report on what has been learned. Similarly, mentors can help greatly in Teaching Practicum to help students learn from their teaching experiences. Mentors can check on progress being made in Leadership Series courses. It is particularly helpful for mentors to review the culminating work from Unit 5 projects and work being submitted in e-Portfolio as evidence of competencies. Mentoring should not necessarily be thought of as merely an isolated one-on-one relationship. Mentors may meet with multiple students at one time, such as for the Becoming Established assessment or Ministry Practicums. This may add efficiency, but also effectiveness because it creates a dimension of mutuality in development. In conclusion, we hope that you don’t view the mentoring dimension of the Antioch School as a “hoop to jump through.” Rather, we hope that you view it as the means by which you are able to accomplish the mentoring that you say is important, but may not be doing very well on your own. 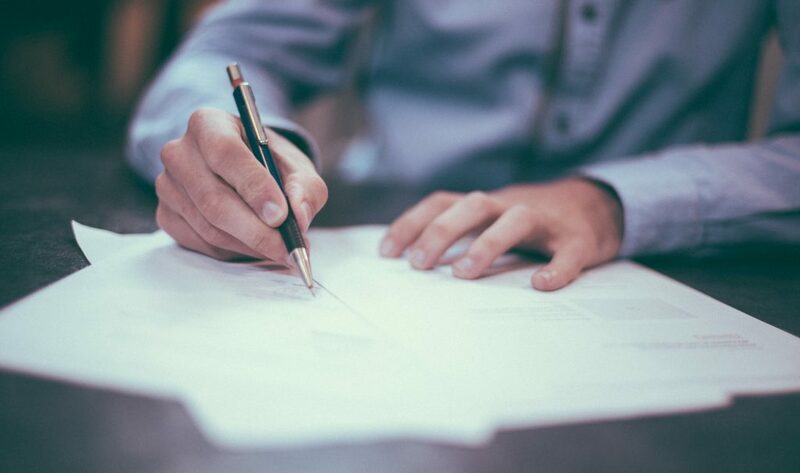 We have been singing the praises of competency-based education for years and predicting that it would bring significant change to the higher education world. Well, it is starting to happen. The Wall Street Journal reported on January 24, 2013 that the University of Wisconsin is now offering “a program that promises to award a bachelor’s degree based on knowledge” regardless of the source or method of learning. There has been a lot of attention given to MOOCs (massive open online courses) that provide instruction to enormous amounts of students at one time. Often MOOCs are taught by the top leaders of a field at little or no cost. However, educational organizations offering MOOCs and academic institutions offering credit and degrees have not been able to sort out the credentialing issue. The University of Wisconsin (and the Antioch School long before it) addresses credentialing through rigorous, multi-faceted, and trustworthy assessment. Some have responded to the University of Wisconsin news by declaring that “it just won’t be the same” as a traditional campus-based education. Well, how will you know? You have to assess! And if you say that there are things about a traditional campus-based education that you “just can’t measure,” then how can you ever be sure that a graduate has them? The bottom line is that competency-based education is forcing higher education to rethink its fundamental assumptions. No longer can we just assume that a student on a traditional campus is getting a high quality education, even if that institution has a prestigious reputation. It all comes back to assessment. And that is where the Antioch School thrives with its portfolio transcripts, e-Portfolio, and multi-faced church-based assessment system. What Business Are Schools In? If McDonald’s is in the fast food business, what business is the Antioch School in? Most people answer by saying that schools are in the education business, even though they may use different words, such as training or development. However, I think that schools are in the degree-granting business. Let me try to prove it. Reflect back on the experiences of those you know who have earned a degree from a school. Do you think that most people would have sought the same experience, gone to the same campus, jumped through all the same hoops, paid all the tuition, etc. if they knew that they weren’t going to get a degree? Most people say “no” they wouldn’t have pursued the education if it didn’t also come with the academic credential. I think that this suggests that schools are not just in the education business, but they are in the business of providing cultural currency in the form of credits and degrees. The distinction is subtle between being in the education business and being in the degree-granting business, but let me explain it a little further because we think it is very important. Your church, church network, or church planting team is in the education business. You are responsible for developing leaders. BILD is also in the education business. It provides resources to support church-based theological education. The Antioch School is in the credit and degree-granting business. We don’t provide the “education” or “training,” you do using BILD resources. The Antioch School provides cultural currency in the form of academic credentials for those being “educated” by you. Our strong outcomes-oriented assessment process allows us to award credit and degrees for education that is aligned with the Antioch Tradition of the Early Church rather than the Western schooling paradigm. Contemporary higher education itself is moving in this direction and the Antioch School is positioned at the forefront of this movement as a fully-accredited institution. We recognize that the church is God’s primary agency for the education of His people, including leaders. BILD provides the resources to support churches doing it and the Antioch School provides the academic credentialing to accompany it.